Markhams Clarke Craw is local and independently owned. We believe we offer greater passion, personal commitment and long-term partnerships to our clients. We work hard to establish strong relationships based on understanding, trust and reliability. Our focus is on our clients and the welfare of their businesses and financial interests - it's about your business. We put our clients in the best possible position to achieve their goals. We do this by providing meaningful, independent advice and innovative accountancy and business solutions as their trusted advisor. Clients will be eager to seek out advice and be well satisfied that they did. We strive to provide a rewarding environment for our team to work in. We value the benefit of a firm large enough to encompass a broad range of professional skills. Markhams Clarke Craw has been part of the Otago community for 65 years. We understand, and are part of this business environment and we actively support our region. We would welcome the opportunity to help you improve your business and your bottom line. For a no cost confidential chat, please visit our website's national home page and request a free discussion. 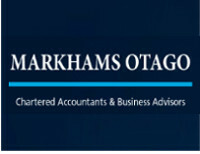 Markhams Clarke Craw Limited are your trusted accountants and advisors in the Dunedin area. We offer a comprehensive range of financial and business services tailored to suit your individual requirements. Get in touch with us today for more information.